Feminism is a-happening in Britain in the guise of a brand new party, The Women’s Equality Party. According to Maclean’s Magazine, it is the brainchild of American Journalist, Catherine Mayer, and other unlikely suspects: to wit the Danish/British stand up comedian, Sandi Toksvig, who has quit her job at a BBC4 Radio show, Politics Quiz, to work on the new party full time. And so far, everybody loves them. What do these women want? They want a world in which women are equal in the literal sense of the word: equal numbers to men in Parliament, in boardrooms, and, possibly, prisons. I’m joking. I actually think this is all well and good, and the new party might just manage to move the ‘debate’ on equality in a positive direction. Like the Greens do, for the environmental cause. Except that we’ve been here before and, quite frankly, there’s nothing new in demanding ‘equality with men’. We’ve been doing that for far too long. 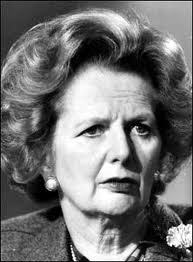 Thatcher took it to heart, and look what happened to her. Merkel has a somewhat softer edge, but even she was trained for her job by Kohl, her mentor and idol. So, it’s not exactly news. I would love to see this new party get off its equality horse and instead, start riding a different animal altogether. One that moves to a different drummer, if I may mix metaphors: Women’s Values. They are not quite the same as men’s, and men just don’t give them the same priority. And that’s what this is about. Our public and private priorities. And after thinking about what they are for five minutes; they rose up and smiled at me, like goddesses of old. They are, in order of importance: Cooperation, Courage, Protection. 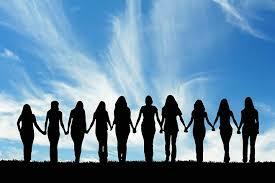 Cooperation, because it is the hardest thing to accomplish, even among small groups, like your family and friends. Waging war has never yet solved a damn thing. So how about giving cooperation a serious try? Courage, because without it, we merely mouth words and fail to follow through with action. And because being the only woman in a roomful of men, all talking, does require it. Protection, because there’s a lot that needs to be protected right about now: our planet and all life upon it, including the human species. These three Values are, to my way of thinking, the bedrock on which we, the human species, can move forward. They are specific yet adaptable to various scenarios, and bypass the vexing need to measure up to men. Who don’t seem to be doing a great job at running the world. So why would we want to be ‘equal’ with them? I dare say, we could be more ambitious, and aim at being somewhat, just a teensy weensy bit better. And if that scares them, so be it. There, I’ve said it. Yep, this Party is a great idea; it just needs to get more ambitious. And then, I think they can take it on the road.